Are you in search of a new kitchen range? With the variety of options nowadays, you'll want to know what's right for you. Check out these four steps to choosing the perfect kitchen range. Step 1. Choose a range based on your source of energy. 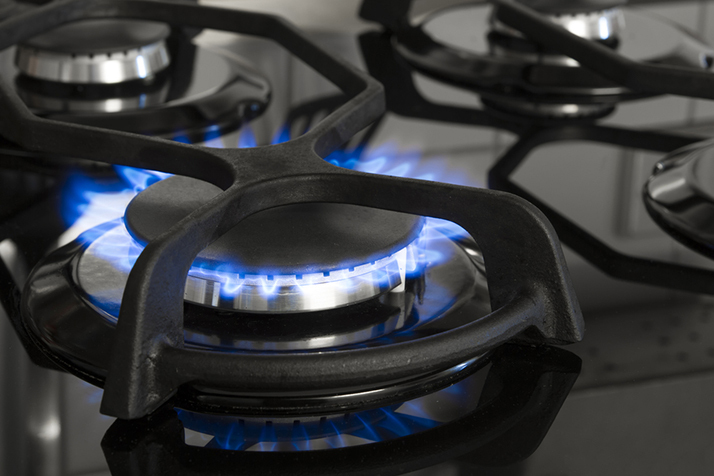 Most people choose gas or electric depending on what the built in source of energy is in their home. These days you can also find a gas powered range with an electric oven. You may not have much choice as far as your source of energy, but you have many choices when it comes to choosing the perfect range in your category. Step 2. Choose the style of your kitchen range. Do you want a free-standing range, drop in, slide in or wall oven with a separate cook-top? While freestanding ranges cost the least and are the most popular, each range style has it's advantages from price to amenities. Slide in ranges overlap your counters on each side for a built in look. Wall ovens typically have less cubic feet inside as compared to conventional ranges. Some ranges come with a double oven, either of the same size or of different sizes for various applications. Consider also the location of the controls. Step 3. Choose the burner style. Electric ranges come with coil burners, a flat gas-top cooking surface, or induction burners. Some gas ranges come with easier to clean burners for a bit more money. The power and precision of the burners will increase depending on the amount of money you want to spend. Some ranges also have an extra burner for keeping things warm, or burners with a dual setting for high power or lower power. Step 4. Choose your options. Clearly there are many options to consider when choosing the perfect kitchen range. Keeping these steps in mind will have you well on your way to happiness in the kitchen.